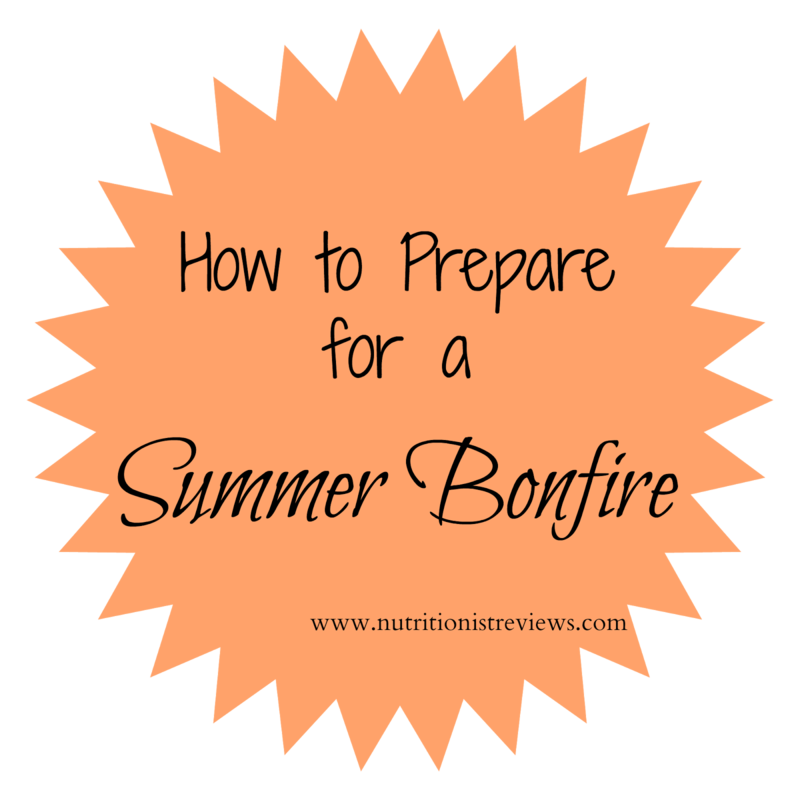 How to Prepare for a Summer Bonfire! I love bonfires! They have been a family tradition since I was very little. The first bonfires that I remember were on the beach in Caseville, MI. My parents would stay up late at a bonfire while us kids went to bed. We also love to have bonfires at my parent's farm. We do this almost every single time we go to the farm in the warm months. Also, since Troy and I bought our own house, we love having our own bonfires at our house and have done this twice already this year (we got a little eager!). 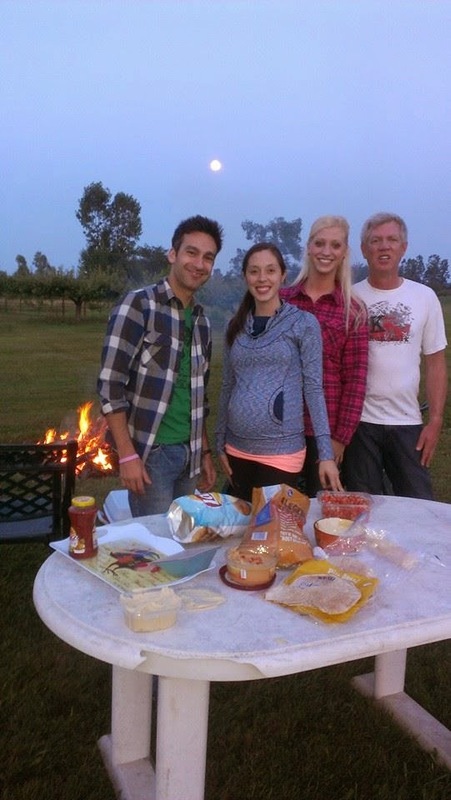 I can't wait for more bonfires this summer, especially at my parent's farm which is so much fun. Dad with his fire at the farm! Whether you use a bonfire pit or create your own bonfire area on land, you need little sticks and paper to get the fire going. This is something that I leave up to my dad or husband always! It can take a bit to get the fire going so someone should set aside a little time to do this. My mom has adirondack chairs in every color! Set out chairs such as adirondack chairs, outdoor furniture, some kind of table for snacks, etc. Also, music is great to set the mood of the party. We often play a lot of country or 80s music. A lot of times, my husband or brother manages the music. Last summer, my bonfire goodies included yummy fruit instead of a beverage. Many people have their bonfire after is gets dark out so we like to use outdoor light strings and tiki torches (bonus if they have some kind of anti-bug formula in them- it is also smart to have bugspray out). Adalyn even has her own chair ready to go for a bonfire!! The #1 reason that I personally enjoy bonfires is because of the great conversation. This is where we talk about a lot of important things and really bond with one another. Enough cannot be said for how great this is! 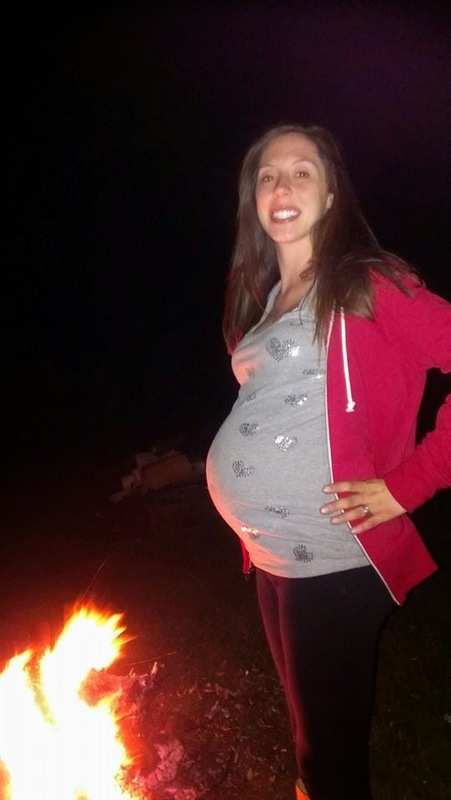 Last summer bonfire at ~30-35 weeks pregnant! It is often cooler in the evenings and many times, there are lots of mosquitoes out. We usually dress in long pants and long sleeves. At my parent's farm, we have to wear closed toe shoes because the firepit is open and sparks can easily fly. One of our many snack setups! One of the very most important parts of a bonfire are the snacks. My family does snacks right and can really fill a huge table full of snacks. Favorites include: s'more ingredients, chips and salsa, potato chips, veggies for dipping, hummus, etc. My mom likes getting the snacks ready and having lots of good options. My brother's wife likes to get creative and made these jello fruit for a bonfire! 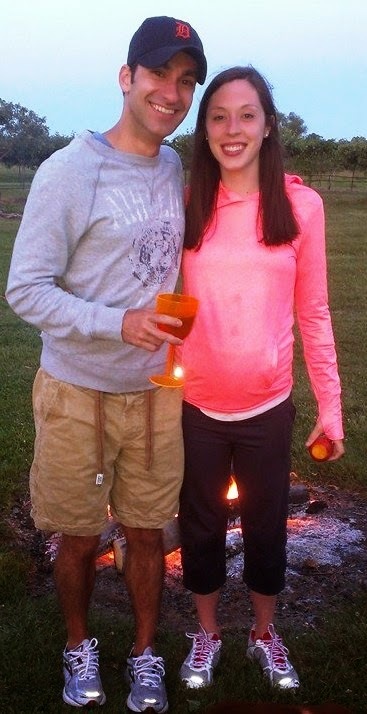 Of course you need drinks for a bonfire! We usually have beer and wine but sometimes, like to make something different. We have had shots of whiskey (not me..), vodka soaked watermelon, mojitos, jello shots and more. Recently I tried Palm Breeze beverage which would be great for a bonfire. I purchased this at my local Kroger but it is also sold at Walmart and many other party stores. I had not had it before but really enjoyed it. It is sweet and I liked how it was sparkling. I like it really cold and it is good with ice too. It is refreshing and would be great for summer. It is a sparkling alcohol spritz that comes in 2 flavors: ruby red citrus and pineapple mandarin orange. It is a malt beverage and is one of the first ones to target women. Check out the Palm Breeze/Blo Bar events in San Diego. Okay, now I am super excited for summer and cannot wait for bonfires! I will have to try the jello fruit and I love Adalyn's chair!